You absolutely know the date Christmas arrives. You also know when your friends and family have Birthdays to celebrate. Why do these events catch our budgets by surprise? The Sinking Fund For Gifts Chart will guide your spending plan and help you gain control of your gift spending! Our Sinking Fund For Gifts Chart is FUN and easy to use! 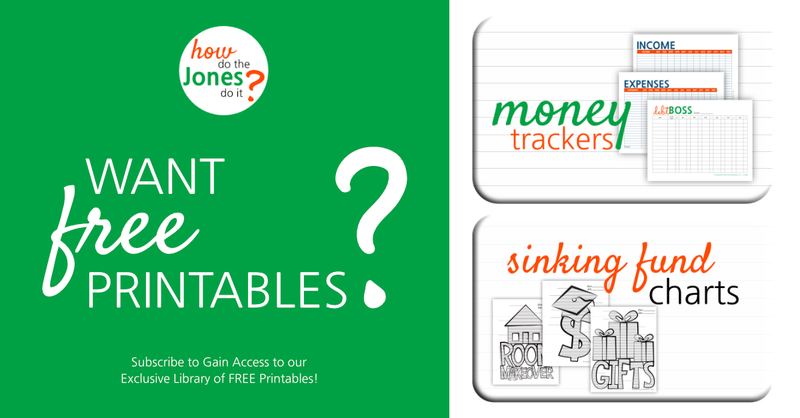 Click the picture below to print your own Sinking Fund For Gifts Chart! I suggest using Card Stock for durability. 2. Determine how much you would like to save in your Sinking Fund For Gifts and write it on the Goal line. If you plan to save $3,000, you would write $300 on the bottom line, $600 on the next line, etc. Each increment consists of 10 lines to fill in. If you plan to save $3,000 and each increment represents $300, each line would represent $30. For every $30 you save, color in a line. 7. Look for ways to Save and Earn! Your Sinking Fund For Gifts will likely be an ever changing target as you use it for Christmas, Birthdays, Weddings, etc. That’s alright! We have the sinking fund for gifts just for that purpose. Once you reach a certain amount, you may be happy to stop contributing until the fund creeps back down. Make Gift Giving FUN again!